The Athena Mini is a compact deep soaking walk in bath that’s easy to use and install. 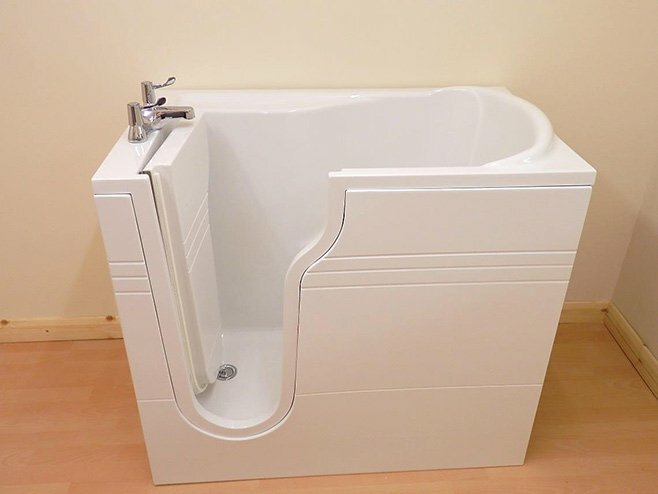 This deep tub allows you to sit and relax in total comfort, to enjoy a good deep soak or have a refreshing shower. Like the larger Athena, it boasts an integral contoured seat, the same generous door opening, and simple single lever door locking. In addition, it has just a single waste outlet to make installation even easier and quicker. Both LH and RH entry versions available.